Are you wondering at which place you will feel our special Vietnamese holiday, Tet Nguyen Dan, the most? Look no further than the Red River Delta of Vietnam. According to Professor Luong Duc Hien, the word “Tet” is a unit of weather in a year. Since 5,000 years ago, Vietnam has been developing the system, in which one year is divided into 24 Tet-units. “Tet Nguyen Dan” means the first Tet of these 24 sections. This first Tet is also known as a fresh beginning, the most meaningful Tet of the year. 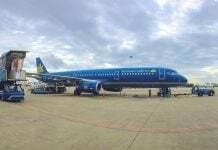 Fun fact: The land from Hue to Nha Trang, has been a part of Vietnam since the 15th century. The South was born even later. Nonetheless, the bustling atmosphere is no less intensive, even more than in the North, as parts of the tourist city’s nature! Before Tet, you will also feel how the locals of Nha Trang prepare for this special event, delicately decorating streets with flowers, lanterns, and ornaments. Along some large walking streets, the golden apricot flowers display their color under the radiant sunshine. People use these areas as a temporary space for selling Tet flowers. 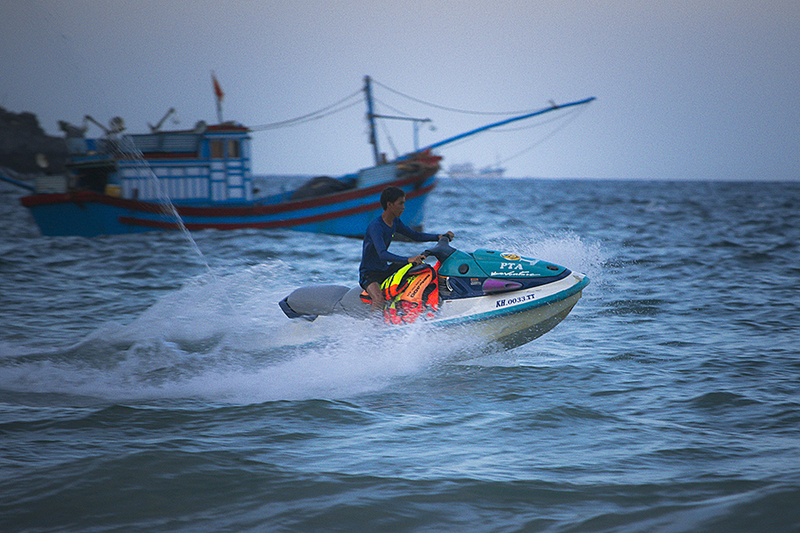 If you visit Nha Trang during this time, you can check out this comprehensive article about what to see and do in Nha Trang. Alexandre Yersin Museum – the museum illustrates the life and great contributions of the respectful Doctor Yersin during his life in Vietnam. National Oceanographic Museum – this is a great place to learn about marine life. Address: 1 Cau Da Street. Long Thanh Photo Exhibit – the gallery belongs to Long Thanh, a photographer who is famous for his monochrome images collection of local real life. You should really pay at least one of these sites a visit to see how people spend their first days of the new year praying for a good year ahead. In Vietnamese Buddhism, there is a new year ceremony called praying for peace and luck for the country and its peoples (Quoc Thai Dan An). Typical pagodas in Nha Trang have yet to organize this ceremony. But who knows, they may do it this year?! Long Son Pagoda – the most well-known pagoda of Khanh Hoa province, with a sitting Buddha Statue of 1.6 meters in height. Suoi Do Pagoda – honoring Bodhisattva, the pagoda rewards visitors with serene scenery after they have completed a climb of 200 stairs to get there. 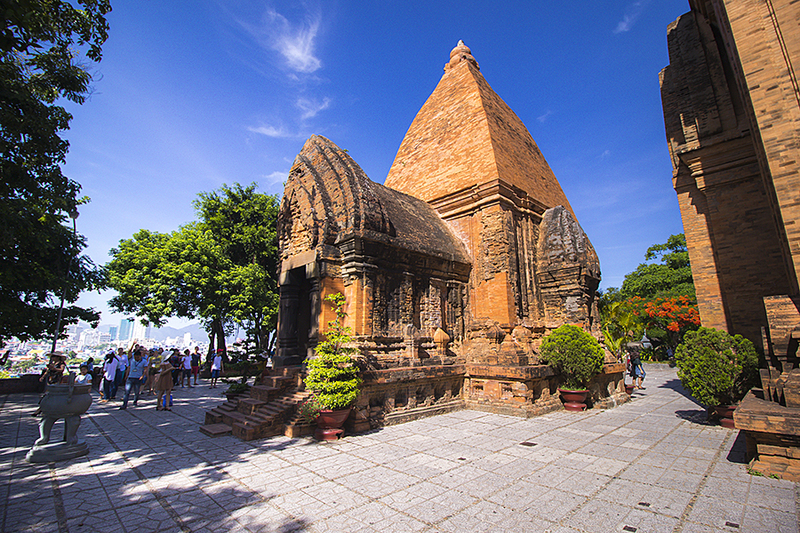 Po Nagar Cham Towers – built in the 7th century by the Cham people, this complex is now one of the most precious cultural and religious heritage sites of Nha Trang city. Nha Trang Cathedral – with elegant architectural structure and magnificent stained-glass windows, this French-built Cathedral is an alluring destination in the city’s heart for many photographers. 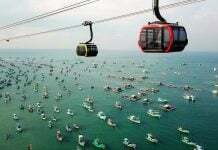 If you are a fan of entertaining activities, you should cross the sea in a cable car and touch Vinpearl Land in the morning. Kids will love it! If you only want to see the flowers, make the short trip in the afternoon, then enjoy your dinner here. This year, the flower festival will be held during the spring (from NOW to the middle of February). When the sunset arrives, sit beside the sea and watch the peaceful event. As it gets darker, the cable pillars appear in the night with its sparkling lights, resembling a line of many mini Eiffel towers in the water. From January 1st to February 9th, 2019, the Spring Flower Festival will open at Yen Phi park on Tran Phu street. With the space of 4.200 m2, the festival promises to display lots of flower artworks from Khanh Hoa province and neighboring areas, including Da Lat. Nem Nuong Vu Thanh An – one typical fried pork restaurant in Nha Trang. Yen Vegetarian Restaurant & Yoga Center – the top rated vegetarian restaurant in Nha Trang. Closes: February 5th and 6th, 2019 – When it resumes working, there will be a lucky money program for customers during several New Year days! After Tet, most businesses resume their work on February 8th, 2019. Most officers and students will get back to work on February 11th. 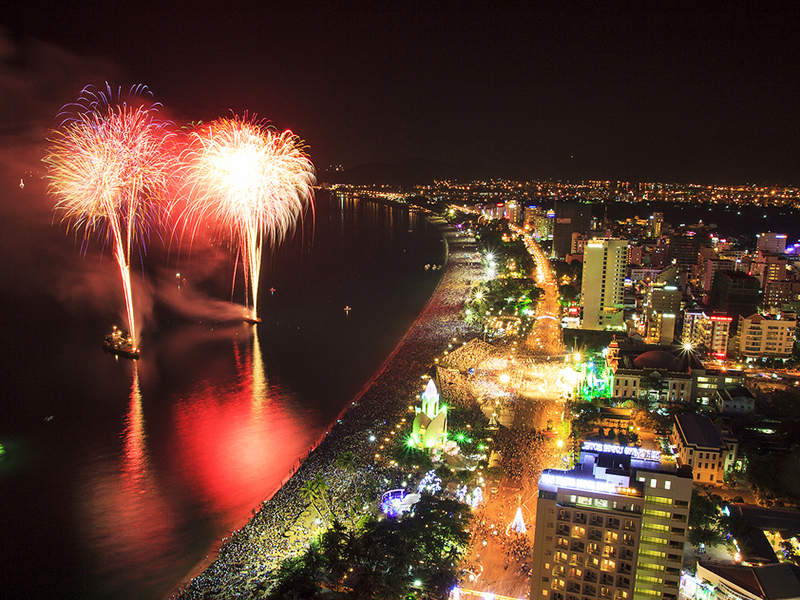 Hence, afterward, Nha Trang will return to its peaceful atmosphere of a being little coastal city. 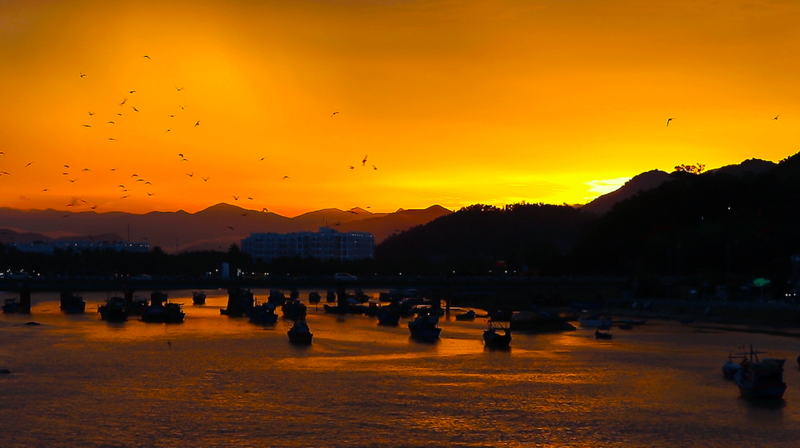 You will love Nha Trang! Tet is the time of family reunions in Vietnam. 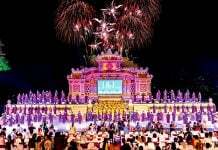 That said, such public activities are not the main part of Tet, rather, they represent a beautiful addition to enhance the happiness of the locals. When you drop by Nha Trang, Da Lat, or any other city in Vietnam, you will see this same mindset. Thus, if you are visiting this country with your family, that’s brilliant! Enjoy the days with your loved ones to the fullest. If you are traveling with your friends, we believe that this is a chance to honor your friendships. Don’t forget to send your family a postcard! And if you are traveling alone, don’t hesitate to join the crowd and make friends with the locals (maybe the hosts that are taking care of your stay, your tour guides, who knows! ), you will feel that many people in this country are friendly and ready to smile! We’ve gone through all the trouble and mapped out how you can spend your days while visiting Nha Trang during Tet. Just follow the itinerary, and you’ll have a great time in the city and experience it like you should. If you are still looking for an ideal accommodation with super friendly hosts, stay with us at Christina’s. I hope you enjoy Tet! May 2019 treat you with all its charms! 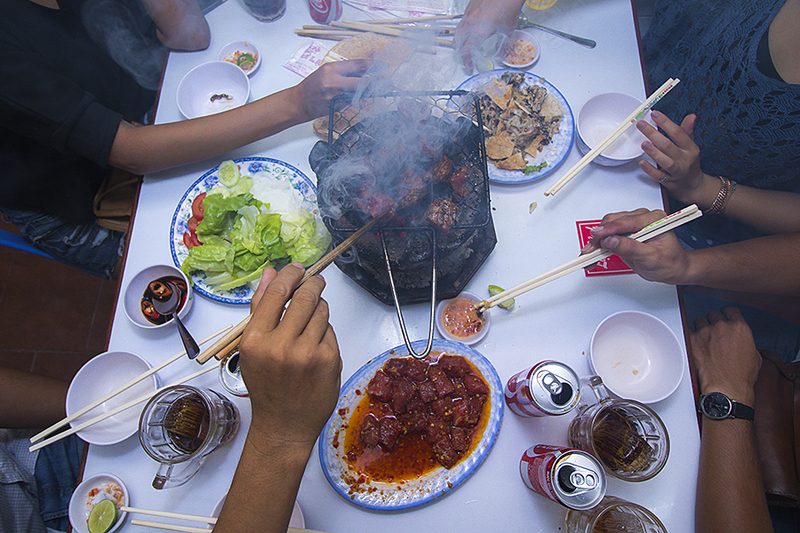 For more Tet Guides, check out Hanoi, Hue – Da Nang – Hoi An, Da Lat, Saigon.